With each passing year in the reverse mortgage industry, the theme seems to stay the same: change. While 2013 was no exception, the change it brought was potentially more impactful and more lasting, however, than in years past. We spoke with Reverse Mortgage Insight’s John Lunde to hear how persistent change has shaped 2013, and how it will continue to mark the business in the coming year. This past year brought the elimination of the most popular reverse mortgage product and a Home Equity Conversion Mortgage overhaul that included a decrease in principal limit factors that have resulted in borrowers qualifying for as much as 15% less than under the previous PLFs. In the news, lenders read about a lawsuit between AARP and the Department of Housing and Urban Development over reverse mortgage non-borrowing spouses; several big name acquisitions of reverse mortgage lenders including RMS, Security One and Urban Financial; and a first-ever Federal Housing Administration Treasury bailout to the tune of $1.7 billion. Yet the biggest changes were those impacting the product itself. While the other stories came and went, the product changes are here to stay. “Over the past year the two big stories have been about product changes. Those have had the biggest impact on the industry,” says John Lunde, president of Reverse Market Insight. In April, a majority fixed rate loan composition shifted sharply to adjustable rate loans with the elimination of the fixed rate standard product. Then, in October, new principal limits along with new use requirements and restrictions have turned the old product on its head. Those changes have led to a less certain outlook for the coming year, but with some tailwinds that may prove favorable, Lunde says. Home values are up across every major metro tracked by the CoreLogic Case-Shiller Home Price Index—a trailing indicator that shows home prices are up 12% year-over-year on average across the the nation. This bodes well for the reverse mortgage market, despite the challenges that lie in a new product landscape. Changes of 2011 and 2012 such as major lender exits from industry giants Bank of America and MetLife took a major hit in terms of marketing and product recognition. Volume fell from about 114,000 loans at its peak in 2009 is is hovering around a projected 61,000 for 2013, according to RMI estimates, up from around 55,000 in 2012. But 2013 proved the first year when the market has had a chance to re-stabilize, even in light of major product changes. “This year, there weren’t any major lender exits, and even though we had product changes, we got out of our own way,” Lunde says. Despite potential for growth in the coming year once the industry has adapted to the new product landscape, the challenges to doing business in the reverse mortgage market have increased. A high premium on the fixed rate product in the secondary market led to stability for lenders—stability which is lacking in light of the product overhaul and an investor market that is adjusting to the new landscape. “Conversely, this year, on the surface it looks better, as we’d normally think more loans for the industry is a better scenario for lenders. But profit is actually falling this year in many cases because of lower [unpaid principal balance] and ARM premiums, whereas profits were generally rising the past few years,” Lunde says. 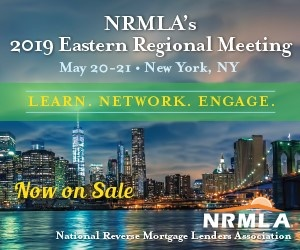 Those lenders that remain in the market have changed too, from a Top-10 composition that contained big banks and forward lenders to a new list that comprises mid-sized, independent companies including Security One, RMS, AAG, Liberty Home Equity Solutions and Urban Financial of America. But continued success in providing home equity solutions to a growing population of Americans who need access to that equity in their retirement years will also require working through a period of uncertainty with several undefined variables on the horizon. The first is the impact of the October 1 changes, which likely will not be felt until the first quarter of 2014, Lunde says. But second, a borrower financial assessment originally slated to take effect January 13 and promised for the first quarter is making it harder to predict how the market will take shape in the coming year.